Keep SoCal’s leading source for all the freshest bike news coming to you every morning. Give to the 2nd Annual BikinginLA Holiday Fund Drive today! Today’s common theme is traffic violence, both literal and figurative. USC fans were heartbroken to learn that former running back Joe McKnight was the victim of an apparent road age shooting on the streets of New Orleans; a tragedy made possible, if not inevitable, by a proliferation of short-fused drivers with easy access to guns. Meanwhile, in an equally, if not more, heartbreaking case, a suspected drunk driver once again proved that no one is safe from the carnage on our streets, as a five-year old South Central boy was killed inside his own apartment. The driver plowed into the building after allegedly being cut off by another driver; inside, investigators found the boy’s letter to Santa asking for a new bicycle. Which leads us to CiclaValley, who offers a bike cam compendium of drivers behaving badly. And yes, someone could easily compile similar video clips of scofflaw cyclists or pedestrians. But it’s the people in the multi-ton machines who pose the greatest risk to others by their bad behavior. When cyclists break the law, they generally put themselves at risk. But when drivers break the law, it poses a danger to everyone on the street. Or sleeping in their own homes. Frequent contributor Erik Griswold notes that at the 30 second mark of its Metro Bike Instructional Video, Metro appears to tacitly encourage users to ride through flashing red lights. 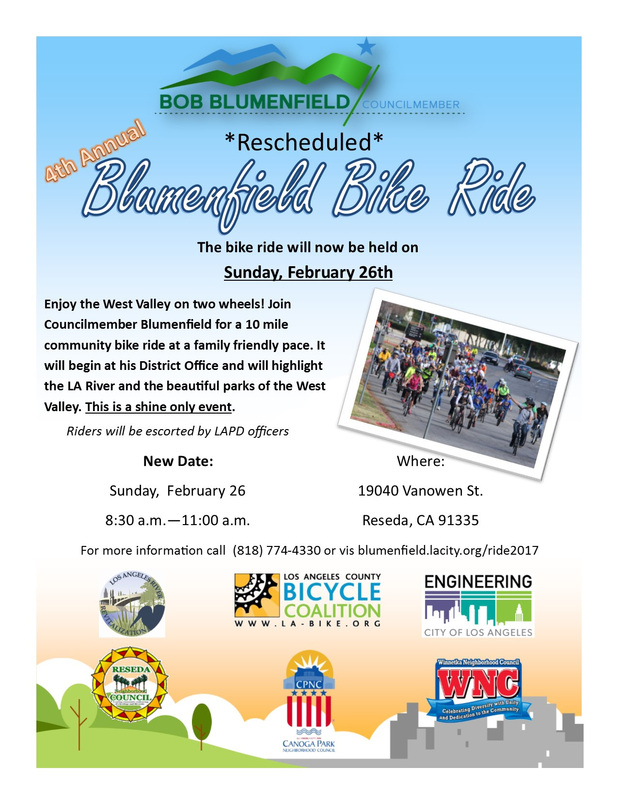 A writer for UCLA’s Daily Bruin justifiably takes the Westwood Neighborhood Council to task for favoring policies that ignore the needs of the students who live and study in the area, including last year’s denial of desperately needed bike lanes on Westwood Blvd. The heavy-handed demands of the area’s wealthy homeowners have killed any semblance of vibrancy in Westwood Village, leading to streets filled with empty storefronts, and driving students — and their money — to other parts of the city. Like a scene out of Footloose, the city even prohibits dancing at restaurants and bars within the Village. 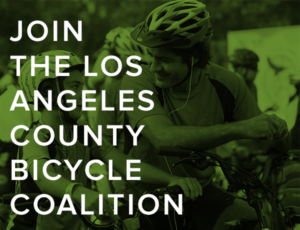 The LACBC is hiring an Organizing Director. Former pro Phil Gaimon is on a one-man mission to erase convicted doper and dope dealer Nick Brandt-Sorenson’s name from the top of LA area Strava KOMs. A 6th grade student is on a one-girl mission to provide safer access for bicyclists to the Ballona Creek bike path in Del Rey and Playa Vista. About one hundred Laguna Beech mountain bikers rode through the Laguna Coast Wilderness Park as part of the second annual Dirt Fondo Challenge, benefitting the Laguna Beach Interscholastic Mountain Bike Team. For the second time in two days, a San Diego area bike rider has suffered a serious head injury, apparently without a car involved. This time a helmeted rider fell in San Marcos and struck his head on the pavement; fortunately, his injuries are not life-threatening. Members of the San Francisco Bicycle Coalition offer strategies on how to improve safety in the South of Market district. San Francisco State University is California’s latest Bicycle Friendly University. Soon you may be able to make plans for a wine and cannabis bike tour of Sonoma County. A bike-riding Scrooge stole four citrus trees planted by an Eagle Scout at an Orangevale church to help feed the hungry. In typically obtuse government-ese, the US DOT announces it’s forming a 15-member committee to advise the Secretary of Transportation on matters related to transportation equity. Which sounds great until you consider that the incoming administration could dissolve it next month. A writer for Momentum Magazine considers the value of clipless bike shoes, and concludes they’re worth it. The Seattle Times recommends taking your own folding bike when you travel. Grind TV asks if Sedona’s White Line Trail is the world’s most dangerous mountain bike trail. Judging by the videos, it’s definitely not one for anyone with a fear of heights. Bicycling Magazine profiles an ex-vegetarian New Mexico man who hunts elk by bike, with his miniature poodle at his side. Des Moines, Iowa makes plans to hire a full-time bicycle coordinator, if it survives the budget process. A small free library is unveiled as a memorial to a Wisconsin woman who was killed by a sidewalk-riding bicyclist. We can all agree this is a needless tragedy. But instead of fighting for higher fines to stop people from riding on the sidewalk, why not fight for safer streets so no one will feel the need to? Caught on video: Philadelphia police are looking for a teenager who rode his BMX up to a garage before setting it on fire. This is why you always carry ID when you ride. A New York bike rider died after an apparent fall; however, police have been unable to identify him or notify his next of kin because he wasn’t carrying any identification. A group of BMX riders recorded the action after sneaking into a Long Island water park; police are looking at the video as evidence of a trespassing violation. Now that’s what I call a bike locker. Cycling Tips considers why two bike brands haven’t moved their production to China. Police in British Columbia recovered “dozens and dozens” of stolen bicycles and e-scooters when they took down a bike chop shop. Torontoist makes the case for why delivering food by bicycle is good for neighborhoods. Caught on video: A Brit bike rider barely escapes a pass from a truck and trailer that looks like it would violate a one-foot passing law. Two percent of Irish commuters go by bike, a figure that hasn’t changed in the last year. The Guardian looks at the recent report that bicyclists now outnumber cars in Copenhagen, where a $145 million investment in bikeways has resulted in a 68% increase in ridership. Thanks to Jon for the heads-up. Malta warns visiting EU officials not to cause a diplomatic incident by running red lights or carrying a passenger on their bicycles. A man in the Southern Africa country of Malawi killed his own half-brother in a dispute over a bicycle. Cyclists in the Australian state of New South Wales won’t have to carry ID when they ride after all, as the government belatedly realizes that most riders already do anyway. Maybe bicycling really is the new golf, especially if your bike is made entirely of golf clubs. It’s not just an ebike, it’s a two-wheeled boom box. And it takes a hero cyclist to save a drowning panda. 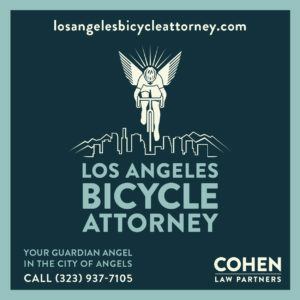 A special thanks to Michele Chavez for her generous contribution to support this site during the BikinginLA Holiday Fund Drive. Horrifying story of an apparent road rage murder in Van Nuys. According to the Daily News, the whole thing started when a bike rider hit a car’s windshield after the driver honked at him Sunday night. The driver responded by getting out of his car, only to get punched by the bicyclist, who then got into the other man’s car and drove off, as a passenger bailed out the right side. When the driver tried to grab the door of the car as the bike rider was driving away, the rider responded by ramming the driver’s side of the car into parked cars, forcing him to let go. The suspect was last seen driving away on Sepulveda Blvd in the victim’s car. He’s described as a Hispanic male approximately 20 to 30 years old, around 5’11” and between 140 and 160 pounds, wearing a dark-hooded sweatshirt and dark pants. Anyone with information is urged to call Valley Bureau Homicide Detective Steve Castro at 818/374-1925. As expected, Lucas James Guidroz was sentenced to ten years after pleading guilty to gross vehicular manslaughter while intoxicated and hit-and-run resulting in death in the May death of math teacher, music director and musician Rod Bennett as he rode his bike on Placerita Canyon in Santa Clarita. Guidroz apologized before the sentence was announced, saying he’d take it back in a heartbeat if he could. The problem with remorse is it always comes too damn late. Caught on video: Peter Sagan rides sidesaddle. I used to do that all the time to make my patented flying dismount, before switching to cleats made sticking the landing a tad problematic; the real trick is to pedal from that position. 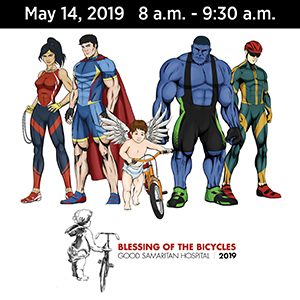 UCLA is gearing up for the sixth annual Bike (Re)cycling Day this Sunday, when students, staff and faculty can claim abandoned bikes and parts. The Pasadena Chamber of Commerce calls for moving the planned Union Street two-way cycle track to the north side of the street to avoid conflicts with businesses on the south side. The Santa Monica Bike Center is offering 20% rentals to help you cast your vote this election day. A member of the Big Orange Cycling club suffered head, rib and back injuries when she was rear-ended in Rancho Palos Verdes on Sunday; witnesses report her shoes were still clipped into her pedals following the crash. A Laguna Beach newspaper remembers surfer and sailor Jack Meehan, a local resident killed while riding his bike in Santa Cruz last month. A competitive cyclist is calling for safety improvements, including narrowing the 14-foot wide traffic lanes, after he was the victim of a hit-and-run while riding in an Encinitas bike lane last August. A lightless San Diego bicyclist suffered a broken leg when he allegedly rode through a stop sign and into the path of an oncoming car. Someone at UC Santa Barbara is apparently going after a Masters in sarcasm, reporting that the university has decided to turn the entire campus into a bike lane. Authorities are looking for the bicycle a young man was riding before he was found buried in a shallow grave on the Sonoma State University campus. Bloomberg notes that bike lane networks can even improve the health of people who don’t ride, and are more cost-effective than the majority of preventive health measures. However, that’s actual networks, not a few disconnected lanes like we have in Los Angeles. Seattle dropped speed limits on over 2,400 miles of city streets in order to improve safety. Which is exactly what LA needs to do, but probably can’t due to the outdated and deadly 85% law. Denver’s bikeshare system is free today only to encourage people to ride to their polling place. A Minnesota writer says a ghost bike is a beautiful sentiment, but the best way to honor fallen riders would be to actually improve safety. The driver responsible for the Kalamazoo massacre last June has been ordered to stand trial for the allegedly drug-fueled crash that killed five cyclists and injured four more; he faces up to life in prison if convicted on any of the five second-degree murder counts. Durham NC installs green bike lanes through an intersection in a continuing effort to improve safety on a notoriously dangerous street. A non-driving Atlanta writer tells drivers to just calm down, while noting the irrational anger many motorists exhibit when a bicyclist breaks the law, even though they don’t obey traffic laws, either. 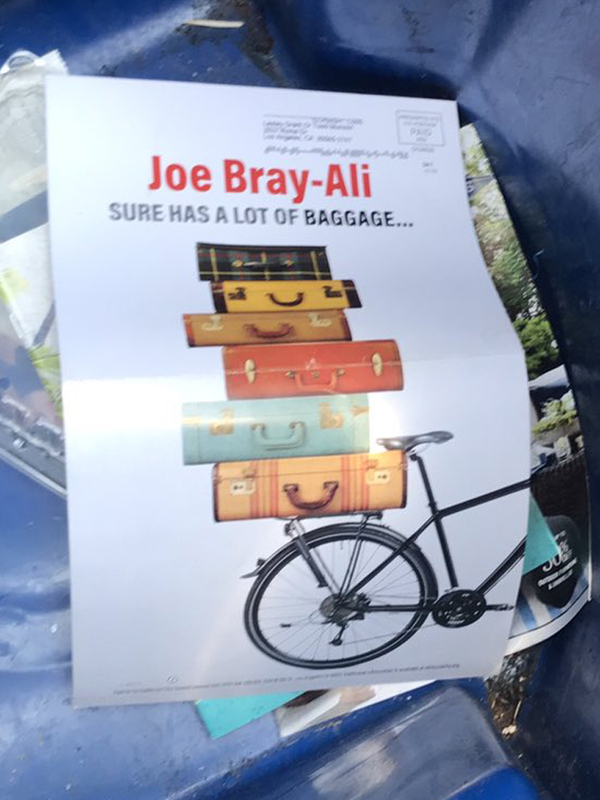 An Alabama letter writer complains about “unsightly” Share the Road signs that he insists are for the benefit of outsiders, since no one he knows rides a bike. The victims of a British Columbia crash were all members of a club that raises funds for the local Parkinson’s Society; one rider was killed and two others seriously injured when a driver plowed into the six riders. Nice piece from London Cyclist discussing five things cyclists should learn to love, from Bromptons and ebikes to airbag helmets and yes, drivers. A UK cycling magazine discusses the need to look after your heart, noting that heart disease can affect anyone, even if you’re great shape. Seriously, take a few minutes to read this one; it could save your life some day. But remember, the symptoms of a heart attack can be different for women. Caught on video too: The Sun insists hundreds of wheelie-popping London teens caused mayhem by riding through red lights and weaving through cars while on a ride to raise awareness for a cancer victim. Yes, they rode recklessly, but it’s quire a reach to describe the minimal disruption they appear to have caused as mayhem. For the first time, there are more bikes than cars in Copenhagen’s city center. Bicycling is once again becoming cool in China. Seriously, if another rider stops to help you after a fall, don’t repay him by whacking him with your bike. When is a bike lane not a bike lane? When it’s a park. And we should know later today if Donald Trump’s candidacy will grab the yellow jersey or go the way of his ill-fated bike race, while the one he tried to sue to stop is still going strong. Come back later today when we’ll have a guest post from Mr. CiclaValley himself as he talks with Toluca Lake resident and pro cyclist Phil Gaimon about next weekend’s inaugural Malibu Gran Cookie Fondo. San Diego’s 10News reports a road raging driver intentionally knocked a local radio host off his bicycle as he was escorting a disabled cyclist on the Coast Highway in Carlsbad, just a few miles from the end of the Challenged Athletes Foundation’s 620-mile Million Dollar Challenge. As the rider worked to make it up a small hill, an impatient driver began honking his horn, despite a support van warning cyclists were ahead. So KOGO host Bob “Sully” Sullivan rode back to explain that his riding partner was a paraplegic using a handcycle to get up the hill. Sullivan said that’s when he stopped talking to the man and got back on his bike. The truck’s driver accelerated and hit Sullivan’s bike, causing him to fall to the roadway. Yet despite the presence of an off-duty Carlsbad cop riding in the opposite direction, no charges have been filed. Thanks to Todd Munson for the heads-up. The LAPD is asking for the public’s help in finding the person who shot and killed a bike rider in Echo Park last week; 37-year old William Perea was hit with gunfire as he rode at Mohawk and Montana the night of October 17th. LADOT says safety remains the top priority on the LA River bike path, as they remind both walkers and bike riders about the statutes governing the pathway and the need to share it safely, in the wake of a collision with a bicyclist that sent an elderly woman to the hospital. Equity is the common theme of the day. Momentum Magazine looks at the nationwide movement to build greater equity in bicycling. People for Bikes says the massive racial wealth gap is a major barrier to bicycle use, noting that a bike can’t save you money if you don’t have enough to buy one. And Curbed looks at the speech given by the LACBC’s Tamika Butler that brought down the house at last month’s NACTO conference. The LACBC deserves a lot of credit for starting this conversation, even before Butler came on board, with its outreach to lower income immigrant communities in the last decade. Along with notable presentations at the National Bike Summit that marked the bike coalition as a national leader on the subject. Don’t forget to vote for LA Bike Trains and SAFE (Streets Are For Everyone) for this year’s LA2050 challenge grants; voting ends tomorrow. KCET discovers the delicious marriage of bicycling and desserts that is Sweet Ride USA, with new episodes appearing online every Wednesday through November 16th. KPCC discusses solutions to the first mile/last mile problem for transit users. The Westwood Village Improvement Association discusses how to improve business and better serve the surrounding community. Oddly, making it safer to walk and bike there doesn’t seem to be an option, even though both would benefit the Village’s long suffering businesses. Pasadena’s bikeshare system is expected to open next July as the Metro Bike system expands northward; the system is expected to have 400 bikes at 34 docking stations around the city. The new and improved Agoura Road, complete with shiny new bike lanes, opens in Agoura Hills after a year of construction. Cycling in the South Bay’s Seth Davidson recounts Tuesday’s civil obedience protest ride and lengthy council session in Palos Verdes Estates in his own inimitable style. Hats off to OC’s Special Spokes and the San Clemente Rotary for providing special-needs kids with adaptive bicycles. With all the negativity this election year, it’s nice to see people working to make a real difference in kids lives. A Clovis driver faces up to a year in jail for fatally rear-ending a bike rider last April. An unidentified man was shot and killed as he rode his bike in Fresno Tuesday night; police are unsure if the shooting was gang-related. 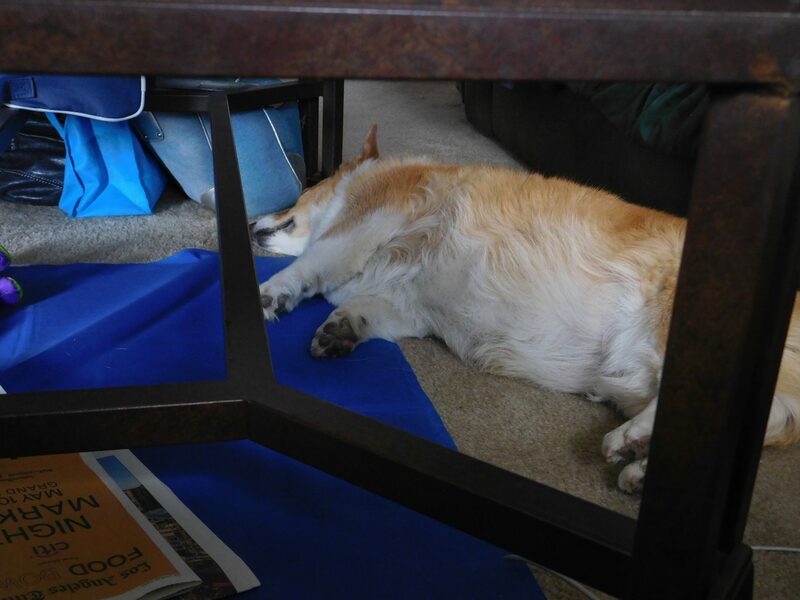 There’s a special place in hell for someone who would steal a bicycle on loan to a vet from Ride 2 Recovery so he could ride across the US with his dog, who’s suffering from terminal cancer. And in my hometown, no less. 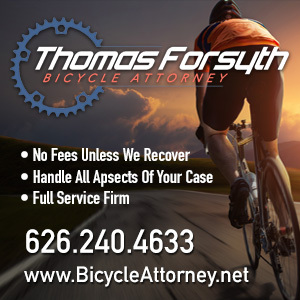 Bike lawyer Bob Mionske writes about a new Close Call Database allowing bike riders to report punishment passes from angry motorists to establish a paper trail in case the driver does it again. Or worse. A Texas rider says learn to ride safely and obey the law, or don’t ride at all. A Maine newspaper says the technology for today’s carbon fiber bicycles got its start in the state with Aegis Bicycle, but the company couldn’t hold out against increasing competition and the demand for ever lighter frames. New York tells cyclists and pedestrians to make themselves more visible, and drivers to pay more attention, in advance of the end of daylight savings time next month. Meanwhile, a new proposal would allow bike riders to get a head start at traffic signals by going with the walk signal for the leading pedestrian interval. Who was that masked man? A Bronx bike rider is a hero after retrieving a woman’s stolen purse, then riding off before she could thank him. No word on whether he left a silver bike chainlink behind. Philadelphia police arrested a 17-year old boy in the shooting of a Good Samaritan who got off his bicycle to try to stop an armed robbery; he faces charges including attempted murder and aggravated assault. Bikes and dogs are now officially banned from Arlington National Cemetery. A Charleston writer says the city deserves the distinction of being called America’s worst city for bicycling. You know Calgary has a lot of bike riders when the city’s bike counter gets maxed out with 68 days still left in the year. Ella Cycling Tips offers advice on how to recover mentally from a bicycling crash. Life is cheap in Belize, where champion cyclist Marlon Castillo is fined just $13,000 for the careless driving collision that killed his friend. 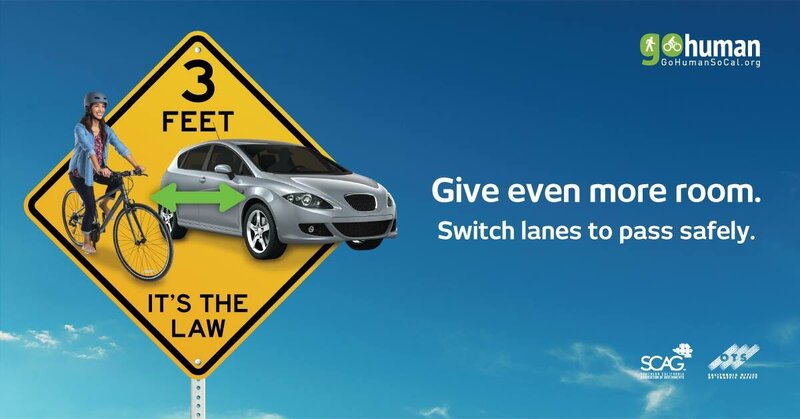 Ottawa police release a new PSA campaign explaining how to use and drive around the city’s new bike box and bi-directional bike lanes. Caught on video: A British cabbie clips a cyclist with his mirror, then launches into a foul-mouthed temper tantrum claiming the rider somehow hit him. And yet some actually question who was in the right. Tom Cruise is one of us, as he reportedly rides through the English countryside with his new girlfriend. A Brit cyclist born with just one arm is raising funds to buy a prosthetic arm so he can compete in the Paralympic Games; a Go Fund Me account has raised a little more than half of the £7,500 goal, the equivalent of $9157. A nine-year old cyclist may be a better climber than most of us, topping Italy’s famed Mt. Ventoux and Stelvio climbs in under 48 hours. An Aussie writer says Sydney needs to focus less on fining bike riders and more on building some decent infrastructure for them. A German cyclist survives a night in the snake and crocodile-infested Australian wilds after taking a header over his handlebars and dislocating is shoulder. If you’re going to use a bicycle to make your getaway after stealing a bag-full of booze, try not to ride into a lamppost. Why settle for a mere sag wagon when you can have your very own bike butler? And in LA we have police chases; in London, it’s investment bankers biking away from bobbies.